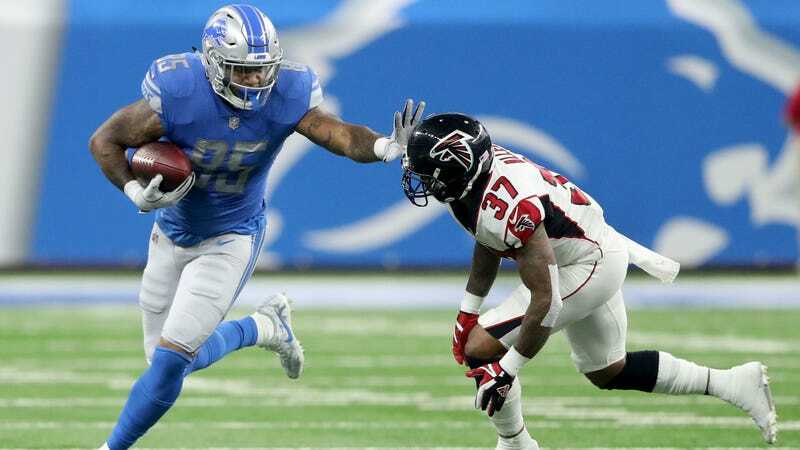 The NFL trade deadline has passed, and tight end Eric Ebron, Detroit’s 2014 first-round pick, is still a Lion. This non-news comes as a disappointment to plenty of Lions fans, as well as perhaps Ebron himself. There’s still a possible scenario where he could add a little bit of value to a team, but so far, his time in Detroit has been a bad experience for all involved. Detroit’s pick of Ebron didn’t even seem like a great idea at the time. Tenth overall was a reach for a guy who dropped 12 percent of his passes at UNC; there were questions about his blocking ability, too, and also no real need for another tight end on the Lions. In 2014, the pass-catching, athletic tight end as offensive cheat code was at its peak in the NFL, but even taking that trend into account, Ebron was a surprise, and he brought back memories of Detroit’s offensive first-round misfires from years past. The pick looks even worse now. Six of the seven players immediately drafted after Ebron have been to the Pro Bowl, including Zack Martin, Aaron Donald, C.J. Mosley, and Odell Beckham Jr. Ebron hasn’t been a flat-out bust in the vein of Matt-Millen-era picks like Mike Williams or Charles Rogers, but he’s best known for his drops. While the tight end managed 711 receiving yards in 13 games last season, he also had seven dropped passes, the most at his position. In a Week 5 27-24 home loss to the Panthers, Ebron heard it from fans as he failed to catch multiple passes. Ebron’s noncommittal comments to the media after the team’s Week 8 loss to the Steelers Sunday seemed like a sign that he was on his way out, as his relationship in Detroit might now be irrevocably marred by his reputation as a guy who can’t catch. (He’ll get booed for any ball he can’t grab, and sarcastically cheered for any little play he does make.) But Ebron’s still here, and he’ll have to make the most of his situation on a 3-4 team trying to claw its way back into the playoff hunt. Teams actually seemed more eager for the ghost of Calvin Johnson than Ebron, so it’s not a shock that he couldn’t leave Detroit, but what anybody can gain from him staying is unclear. It’s a rough fate for a guy who, had one team not significantly overvalued him, could pass as a decent role player. But for at least as long as he’s on the team that picked him too early, Ebron will continue to have too much to prove.